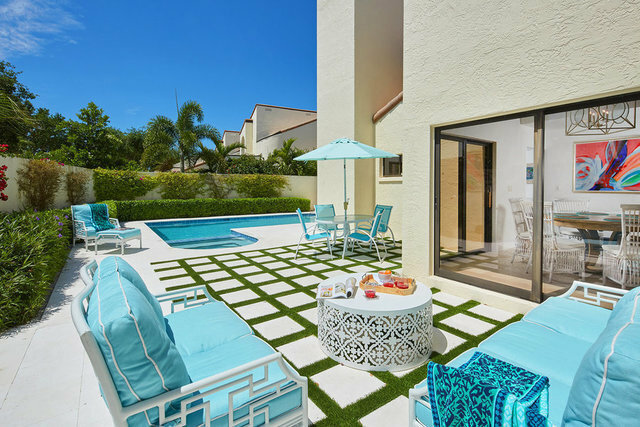 This spacious two-story villa end unit in the Las Brisas community of Pelican Bay features a generously appointed main living space, three bedrooms, three-and-one-half-baths and an inviting pool area great for entertaining. The living room and newly remodeled kitchen open up to the sunny southwestern exposed pool and private lanai featuring a newly finished pool area, multiple seating areas and lush landscaping. Located only a short bike ride or walk to the beach tram and the Pelican Bay Golf Club, this villa offers the best of Florida living.